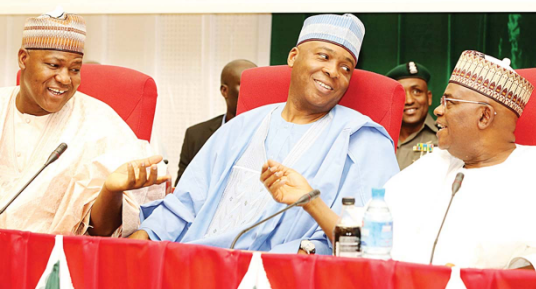 Senate President Bukola Saraki reportedly want to hand over to a former governor but the ruling APC is not ready to let that happen, they are determined to ensure Ahmed Lawan emerge Senate President. Leaders of the APC are desperate to nip in the bud any disaffection on Senate Leader Ahmad Lawan’s choice for Senate President. President Muhammadu Buhari yesterday met with one of the leading contenders for the job, Senator Danjuma Goje. Besides, top APC leaders, senators and senators-elect have held series of meetings with Goje to prevent him from being “hijacked” by the opposition Peoples Democratic Party (PDP). It was learnt that Borno State Governor Kashim Shettima and Lawan’s supporters met another aspirant, Sen. Ali Ndume, to prevail on him to accept Lawan. Buhari, APC governors and party leaders have spent the last 24 hours clearing the intrigues surrounding Lawan’s recommendation for the job. It was gathered that the President personally coordinated the initiative to keep the party’s caucus in the Senate united ahead of the inauguration of the 9th National Assembly in June. A source, who spoke in confidence, said: “We are getting closer to an amicable resolution of all issues and grievances on the recommendation of Lawan. There have been meetings in the last 24 hours on the need to respect the wishes of the President and APC. “As the leader of the party, the President has been in charge of the initiative. He has had audience with Goje on why Lawan was picked and the need for all stakeholders to work with him. 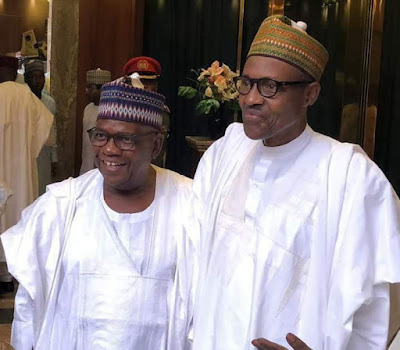 “Some APC governors, top leaders of the party and senators-elect have also reached out to Goje. We want to avoid any rancour in the party and reduce tension. We know the PDP is waiting in the wing for any slip but we won’t allow it.